Chase McGill (Class of 2005) is a writer at Universal Music Publishing Group in Nashville. 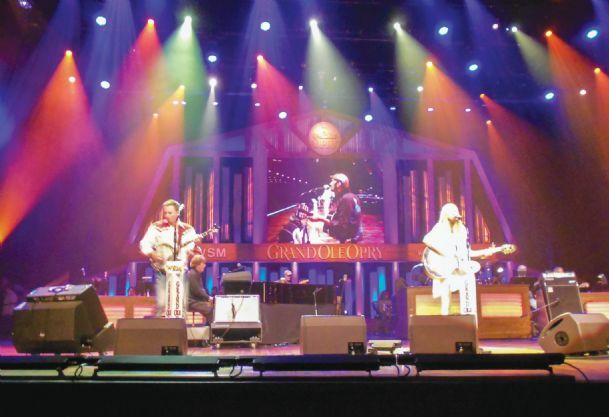 On Friday, May 31st, Chase played with Kalisa Ewing on the famous Grand Ole Opry stage. The show also included Vince Gill, Ricky Skaggs, Poco, and Amy Grant. Congratulations Chase, Heritage Academy is proud of you! Click here to see Chase's story featured in the Lifestyles section of the Commercial Dispatch on Sunday, June 9th. Ann Marie Chilcutt - HA Class of 2010 - Elected SGA President at Southern Miss! Elementary Library Reading Corner Gets a New Look! The Garrards - HA Alums - Provide the Finishing Artistic Touches! Funds from the Box Tops received in our 2012 Spring and Fall collection drives were used to redecorate the reading corner of our elementary school library. In addition to the walls being freshly painted, newnd modern furniture, curtains and a rug were purchased to enhance the area. We are most proud of the artistic touches provided by HA Alum Blaine Garrard (2008). His mother, Jennifer Garrard a 1988 Alum co-chaired this project with HA Director of Development Jennifer Brady. Blaine was “commission aed” by his little brother Paxton (HA Class of 2023) to paint popular book characters such as Dr. Seuss, Junie B. Jones, Arthur, the Diary of the Wimpy Kid, and Fancy Nancy. Do you have news or need to update your address or email address?